Watch excerpt of the video on Av-Arkki here. A Aotearoa New Zealand South Island glacier has been un-named by Ms Sasha Huber, accompanied by greenstone carver Mr Jeff Mahuika (Kāti Māhaki, Poutini Kāi Tahu). 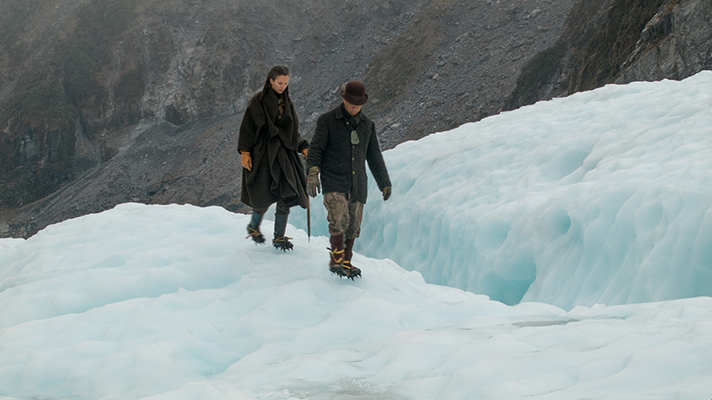 In June 2015, Huber and her small production team travelled to the Agassiz Glacier, between Kā Roimata a Hine Hukatere (Franz Josef Glacier) and Te Moeka o Tuawe (Fox Glacier). There, Mahuika offered a karakia blessing to symbolically un-name the glacier and free it of its association with Agassiz and his racism. Sasha Huber is known for her contribution to the long-term project “Demounting Louis Agassiz” aimed at removing nineteenth century Swiss-born naturalist and glaciologist Louis Agassiz’s name from a 3946 m peak in the Swiss Alps and renaming it Rentyhorn. “Demounting Louis Agassiz” promotes awareness that Agassiz (1807-1873) was a proponent of "scientific" racism and a pioneering thinker of segregation and “racial hygiene”. South Island feature, the “Agassiz Range”, as there are currently no known Ngāi Tahu names for these landmarks. 175 year ago, Swiss geologist Louis Agassiz (1807-1873) led a glaciological expedition into the Grimsel area of the Swiss Alps and, together they named a prominent 3946-metre peak the “Agassizhorn”. 150 years ago, the German geologist Johann Franz Julius von Haast (1822-1887) ventured into the Southern Alps on New Zealand's South Island and gave the name “Agassiz Glacier” to a body of ice that flows into Kā Roimata o Hine Hukatere, as the Māori call the Franz Josef Glacier. Yet, what natural scientists do is rarely harmless, nor is it disconnected from the surrounding world, but often reflects the disruptive forces at work during their lifetimes. When, in the 1860s, von Haast prospected areas of New Zealand for coal and gold, and explored geological structures with regard to constructing railway tunnels, he did so in the interests of British and European colonial societies. When he named over one hundred places after British, German, Austrian, French, Australian, New Zealand, Danish and Swiss scholars, poets, explorers and scientists, after the son of a German king and an Austrian Emperor (and also after himself and his son), he did so to endear himself to the those named and to firmly situate New Zealand within white European culture. And he did this in the context of the British land seizures made during the New Zealand Wars, when, at their height, 18,000 British troops, supported by artillery, cavalry and local militia, fought against some 4000 Māori warriors. Von Haast's naming campaign on the South Island may well be one of the most extensive in the history of colonial land seizure by the application of European nomenclature. It is paralleled – on a smaller scale – by Louis Agassiz's 1840 expedition into the Unteraar region of the Swiss Alps, which named seven peaks after geologists, and has consequently been called “the biggest naming raid in the history of the European Alps”. By 1865, when von Haast named a glacier and a mountain range after him, Louis Agassiz had become one of the 19th century's most influential racists. In 1846, he had left Switzerland for a lecture tour of the USA, and had quickly associated himself with the leading contemporary American craniologists and polygenists. He viewed the production of half-breeds as a sin against nature, and in 1850 he commissioned a series of photographs of African slaves on a South Carolina plantation in order to scientifically prove the inferiority of the “Black race”. One of these slaves was Congolese-born Renty, whose name has been suggested as a replacement for Agassiz in the Bernese Alps. In 1854, Agassiz collaborated with Josiah Nott and George Gliddon on the making of Types of Mankind, a pivotal work in the development of “scientific racism” in the 19th century. people. Agassiz disseminated his racist views in books, periodicals, lectures, talks, and as a government advisor. In 1865, Agassiz took part in an expedition to Brazil, which further strengthened his convictions that “miscegenation”, i.e. “mixing of races”, was a major evil, and he again commissioned a series of portraits of “pure races” and of “mixed races” in order to try and prove his views, which can be traced as far as some of the key proponents of Nazi racial hygiene, such as Eugen Fischer (1874-1967). In the light of the problems involved in the naming of the “Agassiz Glacier” and “Agassiz Range” with regard to both Julius von Haast and Louis Agassiz, these two landmarks should be unnamed, i.e. the name of the racist Louis Agassiz should be deleted from New Zealand's maps and no longer honoured in the way that Julius von Haast wanted it to be. If appropriate Māori names can be found, a later renaming of these landmarks seems altogether fitting. Today, there are over sixty places all over the world and in our Solar System (the Moon and Mars) that bear Agassiz’s name. To date, only one of these places has been renamed: The Agassiz Elementary School in Cambridge was renamed after its African-American school principle Maria Louise Baldwin in 2002. Incidentally, Baldwin was the first African-American female principal in Massachusetts and the US Northeast. 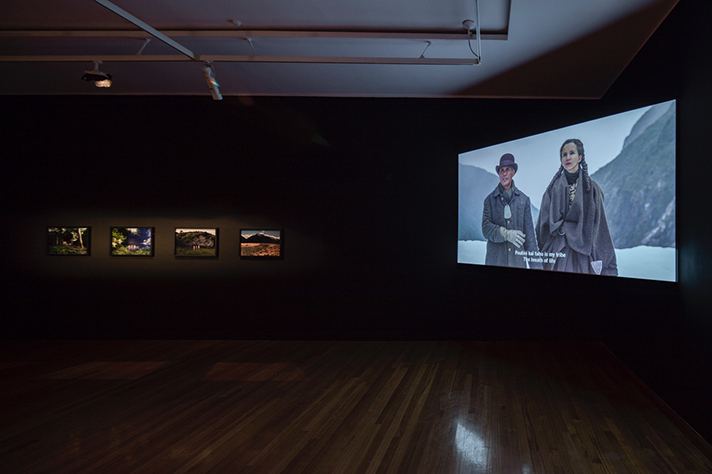 In 2016 the video has been screened at the IFFR - International Film Festival Rotterdam, the TFF - Tampere Film Festival and the Māoriland Film Festival, Otaki, New Zealand.